“Worli Koliwada (Also Known as Worli Fishing Village) is in the Mid Heart of city Mumbai is a old and famous location called ‘Worli’, Today seen as a famous commercial hub of some age old companies and few corporates and some skylines costing hefty amount per square feet was once known as ‘Worli Village’, a location connected and reached from multiple stations on western route of South Mumbai. One thing that didn’t changed since so many decades is the little fishing village of early inhabitants of City ‘Kolis’ at the coastal corner of all these sky touching buildings. Those authentic tribal koli fisherman do the fishing business for earnings and survival today also. IMPORTANT !! 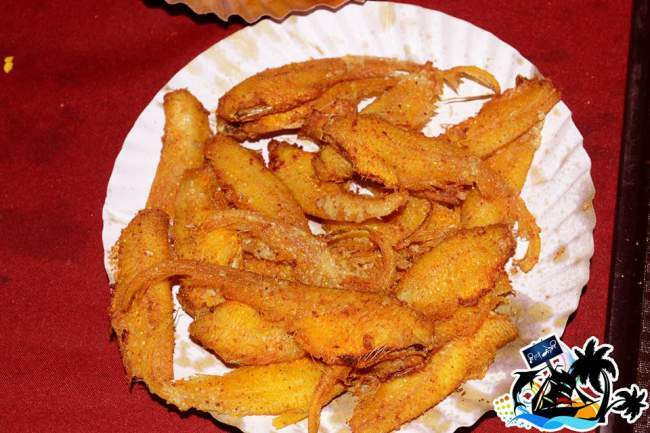 : PLEASE DO NOT CONFUSE ‘Fish / Seafood’ FESTIVAL with ‘Worli Festival’, BOTH ARE DIFFERENT EVENTS. 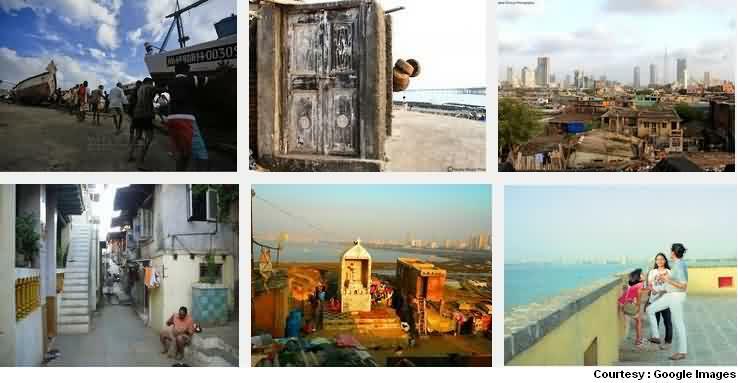 One of the oldest places near historic fort of Worli built by British in around 1675 is this 600 years old Worli village famous for fishing among Koli community families who were the early inhabitants of then the 7 island city, and so is this place famously known as ‘Worli Koliwada’ in Mumbai. These Koli families still do the age old fishing business by getting into the sea early morning and sometimes late night via the connected Mahim Creek and the beach. 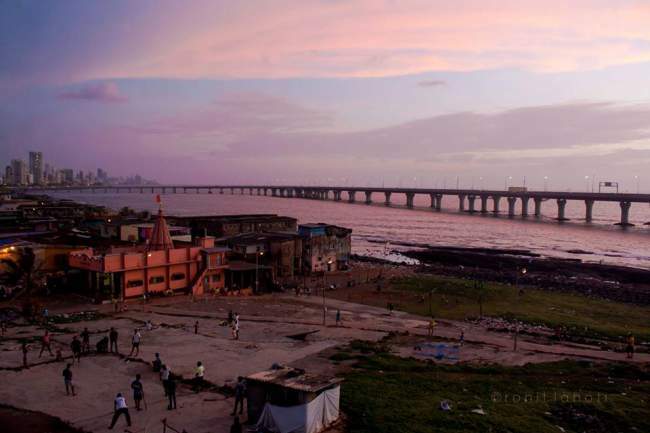 The famous and huge Bandra Worli Sea Link is what one can see completed from inside the village. Just when entered in this village, one can get the smell of fishes kept drying in the open hot air near the little sandy beach mainly used by villagers and not a frequent spot by tourists. Getup in early hours to see the scenic coastal village facing the high rise on the other end of sea link and move towards the beach/creek where the small fishing boats are parked in bunches. The traditional looks of the daily life earning boats is really beautiful, the Orange colour flag (‘Bhagwa’ Colour in Hindi) is the mark of koli fisher boats painted overall with white colour and orange and blue colour on edges. This boats looks same like Maldives fishing boats called ‘Dhoni’. Getting deeper inside this Worli village one can see small yet colourful shanties and chawls, old duplexes with those iron stairs to climb from outside, a view of those openly kept clothes drying under bright light of sun, also get a glimpse of those sweet looking colourful pots major for Tulsi plant and flowers. Everyone has their own choice of colour to paint their home from outside, So one house will look painted blue while other red and blue, including the ladders. The zig-zag lanes called ‘Gullies’ locally in Mumbai may make you bit confused about the exact entrance you came from. Apart from those temple and small idols of lord Jesus and virgin mary inside village, Villagers truly believe in worshipping and praying major artificial things that brings bread butter to their families. They pray and ask for blessing from the wide Arabian sea for giving them enough fishes for business whenever they get in, they pray for safety of themselves and family and occasionally they also put ‘Tika’ to their boats (A small Red Color Dot) which is a traditional way of worshipping things and welcoming people. This Fishing village is perfect place to see life of fisherman family and things around, one can see big fish baskets made of wood sticks which are strong enough to carry fishes to market in a vehicle, it also removes the extra water and keep fishes in perfect condition. Baskets are individual marking particularly in green colour to identify when loaded together and taking towards market places. Grannies are seen helping too, cleaning varandas and doing miscellaneous home work, The Varandas (Open Place) are seen used by those little kids and children lucky enough to get such open muddy place to play their favourite games like cricket and football, a boon in this concrete jungle called ‘Mumbai’. What’s more ? Ask for some help and see the immediate response and helping hands to guide you inside location to explore and for things you want. Not just this village, go to any corner of this city, the village people are equally helpful for anything you ask, they have time to respond with big smile even to welcome to peep inside their life. Now if you are lucky, you can see the traditional way of getting married here, the Mandav day (A Day Prior to Wedding) is considered fun and dance day when people will eat, drink and dance the way they want, full of excitement and entertainment with nashik dhol or an orchestra. 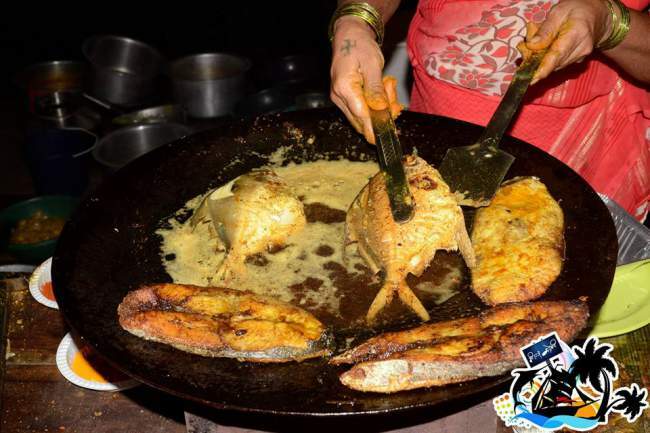 Request for some authentic Koli food served in Patravali and see those delicious fresh fishes served. Next, during wedding day watch those beautiful women of India, the traditional wear of beautiful bride and nauvari sari other women and girls in village wear during such occasions. That’s the little, limited yet a beautiful life of village here. 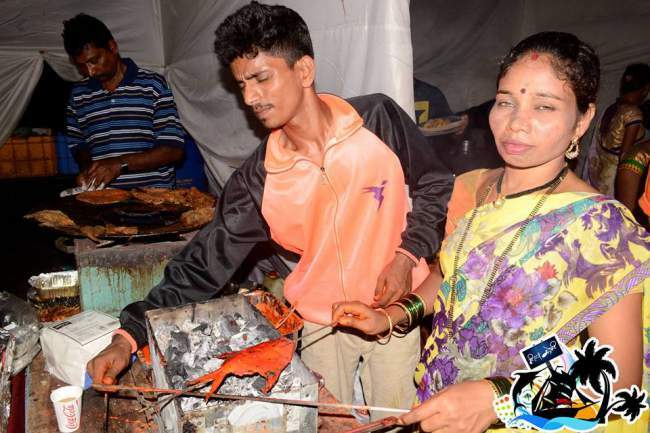 As fishing is a very old business of Koliwada people, One can find koli women equally working and helping their husbands to dry, clean and prepare fishes ready to sell in nearby market. 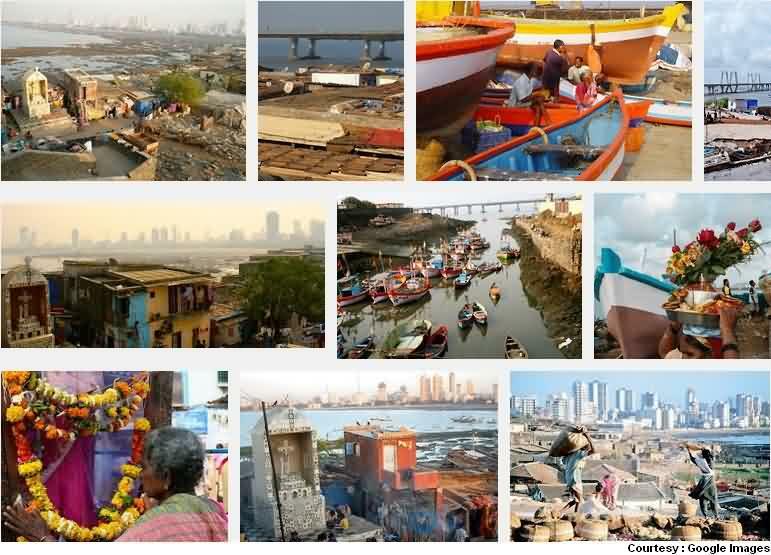 Unlike the other part of Mumbai, Villagers here get up very early in morning for preparations of next day business to get inside sea, sometimes during nights too taking care of fishing signals, weather and tides. At times one can also see man and women sorting the fish catches and adjusting the fishing net back for another day. Moving towards vegetable market, See a little private city of itself inside this village where their are shops, vegetable market, fish market to get whatever daily needs they want and major don’t need to go outside except few things. The sellers inside market are major women, its chaotic yet a wonderful experience for a time if you have never been to any such fishing markets of such villages. Lately Bollywood film ‘Ferrari ki Sawaari’ also featured some scenes from this village, Check the below video for same. CORRECTIONS : Below Details are for Worli Festival 5.0 (NOT FISH / SEAFOOD FESTIVAL). Seafood Festival Dates : Will be updated as soon received. 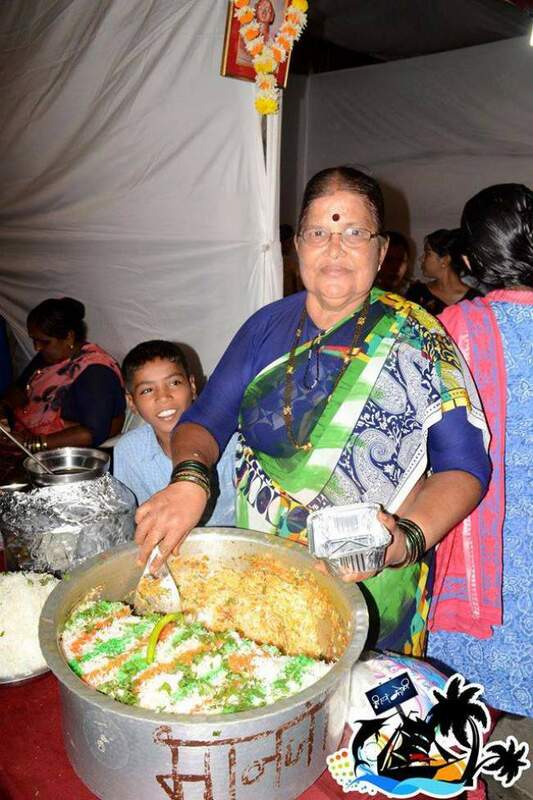 Few pictures of the yearly event of celebrating fish festival in worli village will talk more then what i can say. 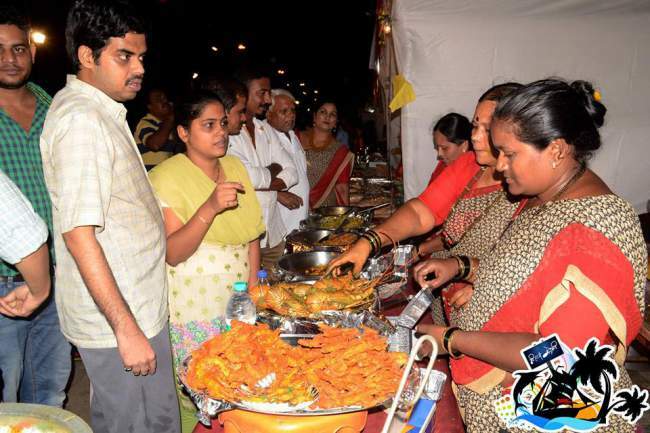 So keeping this section short here are festival pictures taken in 2015 (Credits to Worli Village Community), This yearly event happens this year 2019 in January. 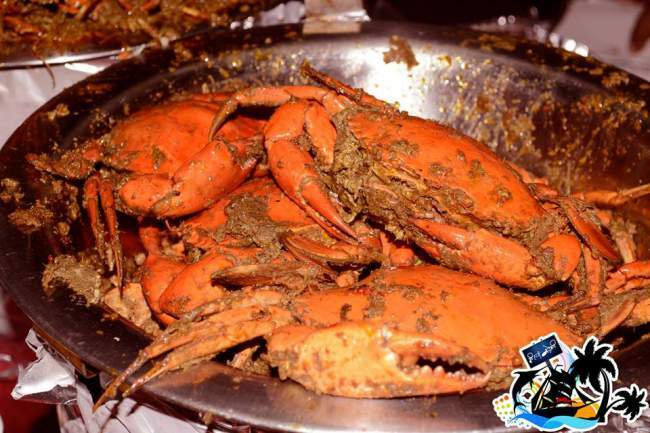 For those who missed the fresh taste of varieties of fishes, crabs and other seafood last year, here is the time to grab the taste and all fun. 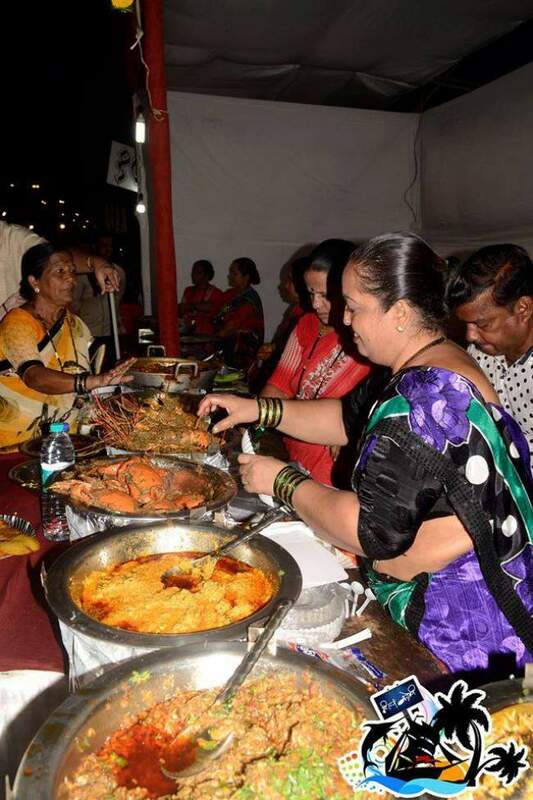 To be brief this festive event at worli village is nothing less than a Christmas new year or Diwali. 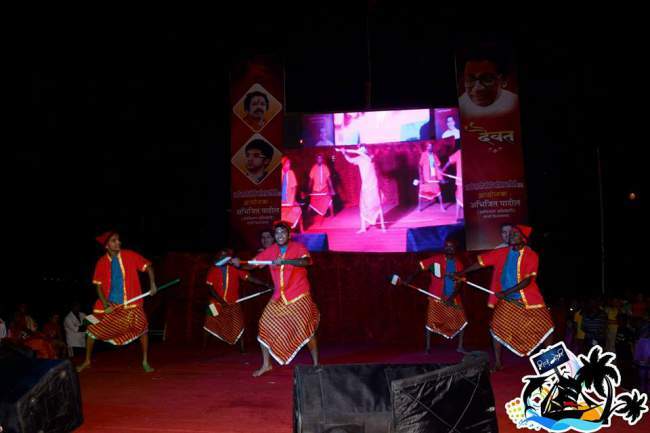 Villagers eagerly waits for November month to celebrate and enjoy the age old rituals, koli dance and joy of being together and welcoming pubic whole heartedly to join the festival. 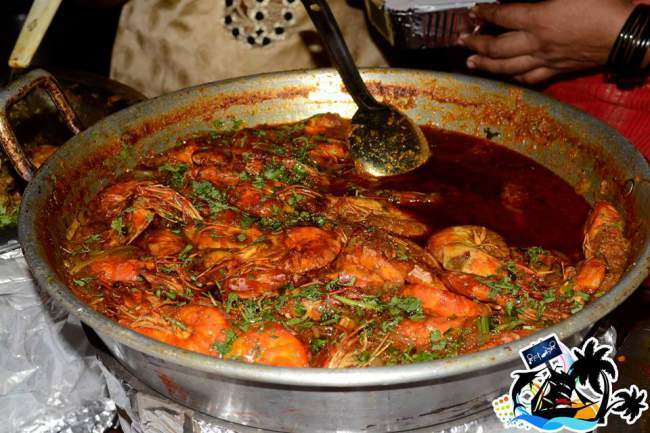 The event goes for couple of days and also famous as Fish Festival in Mumbai. But for Koli community its not just fish, It’s a fun, ritual and thanks giving day too. 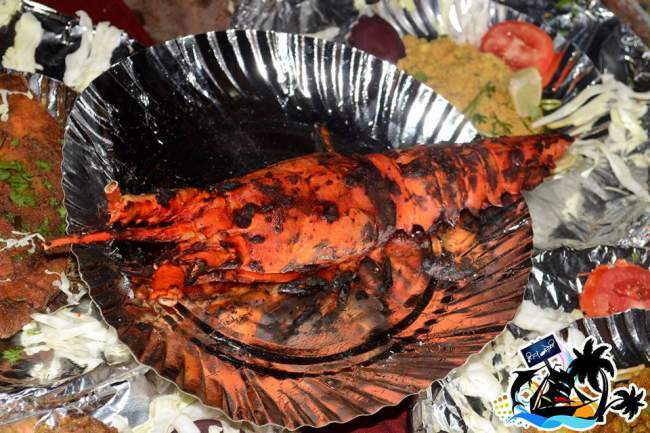 One can see the authentic Koli dance, freshest of all fishes like Prawns, Lobsters, Bangda, Mandeli an other sea food specially big crabs served at reasonable price. For couple of hours when around i am sure you get lost and feel like not in mad city Mumbai. That said, let’s keep cheering and giving best wishes for the year to villagers and koli community who brings the fresh fishes from deep sea and serves up throughout the year. 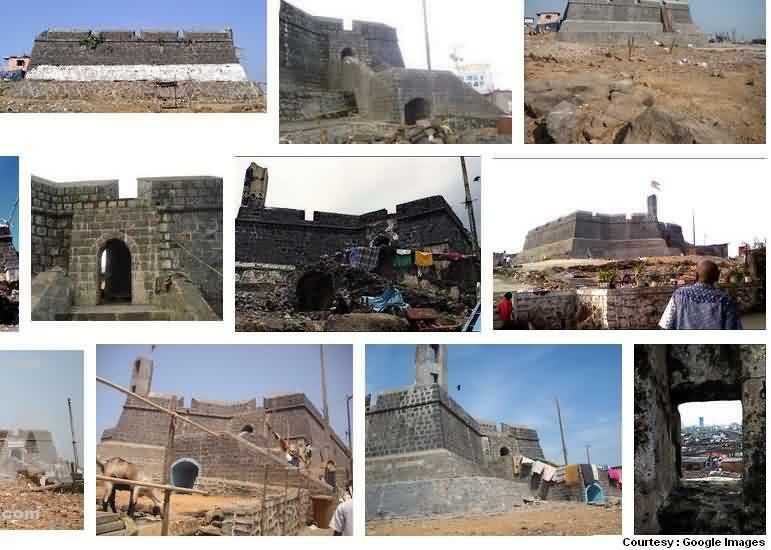 ‘Worli Village Association’ who takes care of this village requirements also takes care of the remains of Fort inside Koliwada built and left by Britishers. It is also one of the attractions of the area which was built to keep a watch on enemy ships from entering the city. That is a history now, this fort is not well maintained and maximum destroyed since decades now, it’s not a kind of place to visit especially as a tourist attraction. Village Association members has already put in efforts to restore and save the balance of this historic fort via cultural events at Kala Ghoda and more..
One can catch Bus from Dadar Station in West Near plaza Cinema to reach here, alternately Western Stations Mahalaxmi / Lower parel is also nearby places from where one can reach by taking a cab (taxi). If you are with you private vehicle, their is a parking place inside.